← OOps! Thought I posted these scarfy pics! Silly WordPress! 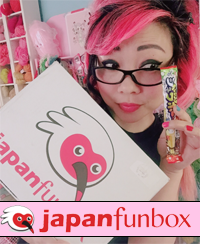 My Blog is Fixed! YAY! Sorry for the lack of commenting and updates. I was unable to do either, and I thought it was just a momentary glitch. But then I asked my webmaster/brother tonight, and he said it looked like the blog had actually been hacked!!! I think it’s better now, tho. I seem to have a lot of problems with this blog breaking! Anyway, I hope everyone had a fun Halloween!! I was so involved in my projects that I had NO brainpower to spend on Halloween. We ended up going to a bar with Manda who dressed up as Punky Brewster and we people-watched. Then we ate some foods at Baghdad Cafe after closing down the bar and did more people-watching! I was going to post the rest of the scarf pics that I took on the day I had to email my manuscript, but, then I figured, if I showed pics of everything, it wouldn’t be a very fun surprise!! (However, the pics I’ve been showing you will not be the final pics for the book. I have to plan those shoots out and take them a bit later!)) So here’s just one more. I had basically been up all night, worked until noon, shot pics, edited them, and went to sleep from 2pm-6pm before I had to meet my friend Pickle for dinner in San Leandro. It was a long day!!! So now, my next project is making goodies for this event at the New People building . SF Bazaar Bizarre is teaming up with New People to bring you “New People Artist Village Vol.1: New People x Bazaar Bizarre”. This artist’s village will be in celebration of a new art exhibit at the SUPERFROG Gallery entitled “Tokyo Creators Market: An Exhibition by 7 artists from Tokyo.” If you haven’t visited the New People building yet, here’s a great opportunity! 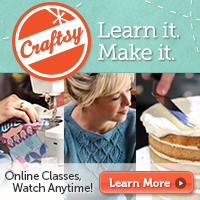 When there’s a banner, I will post it to my MySpace, etc! 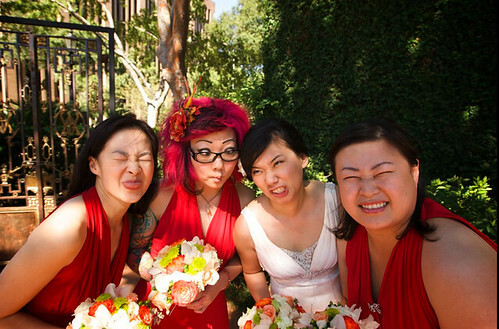 In other news, I got a few pics from Margaret from her wedding. I will put them behind a cut! So I didn’t wear a wig after all. I kind of wish I had done my hair differently, but I don’t really have hair skills. Half the people at the wedding had already seen my regular hair, so it seemed extra silly to put a wig on for the actual wedding. I told Hairy that for my next formal event, I need to ditch the glasses. He seems to think they are fine, but I think there is something too casual and not very elegant about wearing them! 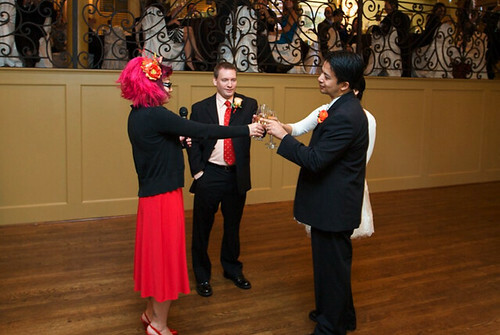 Here’s a pic from when I gave my most awesome wedding toast! 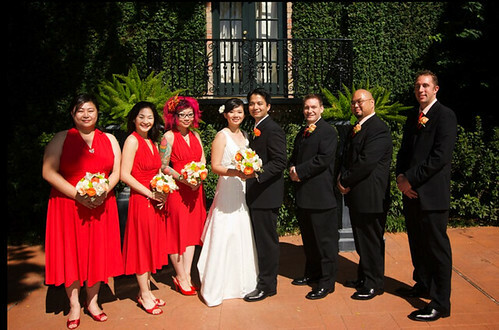 I made the bride cry by re-telling the story of how she and her man fell in love! 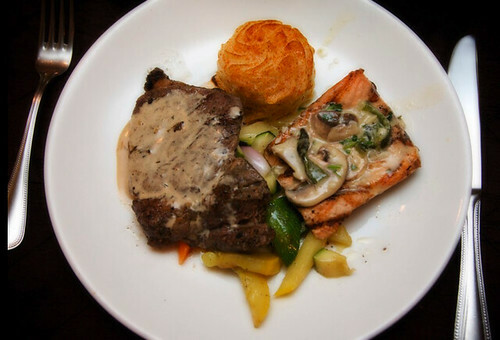 Steak AND salmon!! Protein power!!! 9 Responses to My Blog is Fixed! YAY! The cookie scarf is amazing. Would you mind telling me where you got the pink and blue hair clip in the scarf picture? That perfectly round pile of mashed potato looks beyond delicious. 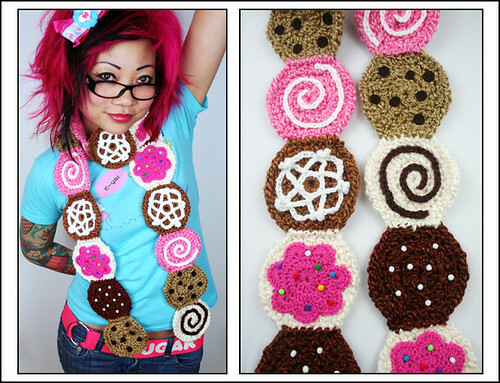 I love the cookie scarf!! I am waiting in excited anticipation for your book! I think your glasses are extra cute and not casual at all! I can’t believe someone would want to hack your blog! For me, cuteness does not inspire malicious intent. That’s an adorable scarf! I started crocheting recently and everything I try and make turns out to be a complete and utter mess!